A Special Interest Group of the Australian Caravan Club for owners of Evernew Caravans. The Evernew Owners Group (ACC EOG) has been established for members to share their experiences, tips and seek advice on all things Evernew from other owners. The group aims to enjoy social activities by attending musters and tagalongs where members can interact, form friendships and exchange information and ideas. If you're not yet a member of the Australian Caravan Club you can join us here. If you're a member and an Owner of the an Evernew Van, Sign-In to join the Owners of Evernew Vans S.I.G. This SIG is open to all Jeep owners in The Australian Caravan Club. The aim of the group is to keep all Jeep owners up to date with the operation and maintenance of their vehicles. As most Jeeps in our club are used for towing purposes, the information will be based mainly on the later model Grand Cherokee. Other Jeeps are of course welcome and associated problems investigated. All Jeep owners are encouraged to participate with any information that may benefit other members. Suggestions on how and where we could buy our spares and service our vehicles cheaper will be of benefit to all members. Hopefully we can all learn from each other and save some time and money along the way. We will also endeavor to hold social activities where possible, around Australia and of course, at Annual Musters. If you're a member and are the owner of a Jeep and would like to share your experiences and tips, or receive advice from other owners, Join the Jeep Owners S.I.G. 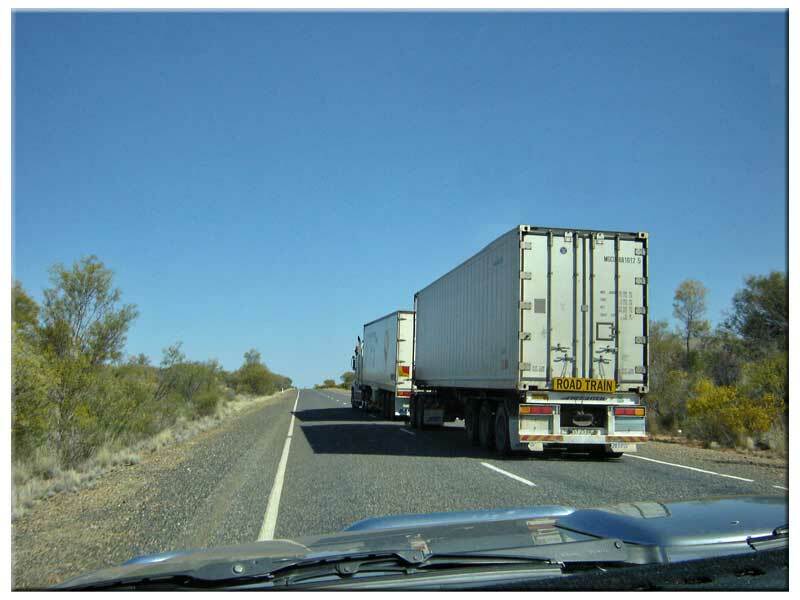 Western Australian transport and logistics company Centurion has produced a Driver’s Road Safety Tips card as a guide for RV travellers to use when passing road trains. Centurion has provided us with a complimentary copy and given us permission to use it. A very special thanks to Centurion. You can view or print a copy of Centurion’s Driver’s Road Safety Tips card here. Our Club’s communications team regularly issue media releases to various RV media and general media outlets to promote our RV Lifestyle. This year the ACC National Muster is to be held at the BIG 4 Ocean Beach Holiday Park in Denmark W.A. The 2018 ACC National Muster Program. Registrations close on 31 August 2018.